Workplace violence is unpredictable … or is it? Wearables and predictive analytics are more than just trendy tech tools—they have the potential to give safety managers an edge in foreseeing and preventing workplace violence. First, it’s important to note that while the use of smart protective gear and wearables to enhance safety is growing and projected to be a huge market, the use of these items specifically for preventing workplace violence is still speculative. Therefore, it is a bit premature to start having a dialogue about specific, effective metrics. However, once this dialogue ensues, it will be important for organizations to focus on the development of leading metrics (i.e., those that are predictive in nature) versus lagging metrics (those that report results after the fact or tell us what has already happened). The focus on leading metrics is critical when it comes to preventing workplace violence because the focus of an effective safety or workplace violence prevention program is to prevent incidents before they occur. This happens by having tools and processes in place that help to detect “at risk” individuals and/or behaviors early so that appropriate interventions can take place, significantly increasing the odds that an event can be prevented. We’d do well to remember that according to OSHA’s General Duty Clause, “companies have a legal responsibility to provide a safe work environment,” so they have a vested interest in providing training, tools, equipment, processes, and products that will help achieve this goal. Wearables may be able to help enhance safety initiatives, so employers should definitely explore the viability of providing them to employees. Just as employers provide safety equipment that employees are required to wear such as helmets, goggles, cut resistant gloves, special shoes or boots, or other protective gear, in the future, this may expand to include specified types of wearables and/or “smart” protective gear that monitor body functions and feed the information to the employer. In addition, I believe that as a part of every company’s workplace violence prevention policy each employee should have a personal “Stay Safe at Work” plan that tailors the overall policy to the specific nature of the work the person performs, the environment in which his or her job is conducted, and the type of people the person regularly encounters while working (e.g., the public, risky populations, etc.). Wearables and smart devices could become part of employees’ Stay Safe at Work plan. The other side of this coin is the personal use of wearables by employees. There is already precedence for this discussion with employees using their own tablets, laptops, and smart phones for work purposes and many employers have “bring your own device” (BYOD) policies to address this issue. However, this is also an emerging legal issue, and there are many unanswered questions yet to be sorted out. Organizations may step into a murky area if they want to access data provided by personal devices primarily because it is personal data on a personal device. 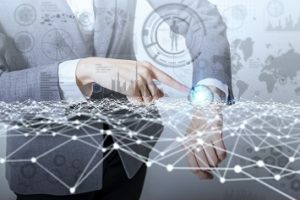 Employers may argue (and the argument has historically prevailed) that data on a company-owned device are company-owned so the company has an interest in being able to access that data. This is not likely to be the case with personal wearables. In addition, the vast majority of states have laws that support employees having a “reasonable expectation” of privacy while working, and it is likely this principle would extend to wearables. Thus, to even consider use of data from personal devices, employers would need to get explicit consent from employees, be transparent on how they will use the information, and clearly state their purpose for accessing the information. Also, employers will need to have effective security and safeguards in place to make sure they do not overstep their boundaries with any data collected or else they will find themselves in legal hot water. The use of wearables to enhance safety is an emerging area and as this technology continues to evolve, it will take some time for the legal system to catch up. Even so, privacy issues are likely to be at the forefront regarding the data-gathering potential of these smart devices. These devices have the ability to gather vast amounts of personal data, which then raises the issues of how the information will be used, stored, and disposed. The security of the information gathered will likely be where legal issues will arise. Organizations have a sketchy history with being able to protect personal information as the level of data breaches continue to mount … and these wearables will add even more data that needs to be protected. Hacking of the data, privacy invasion, and losing control of the data or having it compromised are all real concerns. The need for policies and processes to secure and protect the data will be a necessity along with the commensurate communication to and education of employees. Since this is an emerging issue, employers have the opportunity to design their programs using the principles of “privacy by design” to build in the appropriate measures to ensure the security of the data gathered. Data protection and privacy officers should be at the forefront of ensuring the use of wearables meets all appropriate legal requirements. These requirements may extend across many regulations, including the Health Insurance Portability and Accountability Act of 1996 (HIPAA), European General Data Protection Requirements of 2018 (which applies to any employer that transfers employee personal information about European employees), and state privacy laws, just to name a few. Compliance with HIPAA is of particular concern since much of the data collected by wearables will potentially be of a medical nature. Another potential issue that may arise concerns what to do once the data has been gathered and analyzed. The data may be irrelevant (or information the company really doesn’t want to know). Conversely, the data may reveal information that, once known, could put the organization in legal jeopardy if it does not act upon it. Despite the potential to use wearables to improve employers’ ability to protect employees from incidents of violence that could cause harm or even death, there are numerous issues that employers need to address for this remarkable technology to realize its potential. Ultimately, I believe the well-established legal principles of “reasonable behavior” and “business necessity,” along with informed employee consent, will come into play and will be immensely important. Let’s consider an example of these issues at play. An employer provides watches that monitor heartbeat, blood pressure, and stress level. Is it left up to the employee to self-monitor, or should the company have a service that monitors employees on these factors and then provides feedback to the employee and/or management pointing out when readings are above an acceptable level and employees need to take rest break or see the company doctor? Is this an invasion of employees’ privacy (HIPAA) or does the company have the right to access this information and act on it in the company’s best interest regarding providing a safe work environment and mitigating a potential risk? Comparing employee data to a predetermined standard raises a red flag. Is this a medical decision or a business decision? At what point does a company cross the line into personal intrusion? Unfortunately, at this stage there are no easy answers—but employers should start considering the ramifications now. After one of my workshops on workplace violence prevention, an employee approached me and said 10 of the 13 early warning signs I had identified fit him, and he needed help. Employees who are dealing with high levels of stress need help in finding ways to alleviate their stress, and it is in a company’s best interest to help the person get help. Keep in mind that much of the information we currently identify as “early warning signs” relies on layman observations and judgement of a supervisor or a fellow employee. Much of the valuable information gleaned from observing a “person of interest” isn’t as obvious as it may appear. The true value in many cases comes from recognizing relevant changes in behavior and anomalies in the person’s behavior. To adequately give value to this type information some form of pre-existing standard and level of knowledge of the employee must exist. Rarely do either of these factors exist in organizations and consequently, the probability of missing important information or misreading it is high. The current state of the art for preventing workplace violence leans heavily on using early warning signs as a way of identifying factors that have been associated with past incidents of violence and using them as an indicator of potential violence. This process involves observing the behavior of a person of interest and identifying significant changes in their behaviors and patterns of behavior. This is a challenge for supervisors and other employees—the variability of the factors that impact accurately assessing an individual’s behaviors is difficult even for professional psychologists (they are only able to correctly identify potential violent individuals one-third of the time). I believe that it is time to revisit using the early warning signs as the primary way of preventing workplace violence—and wearables may be the next evolution to provide a more scientific approach to identifying at-risk individuals in the workplace. Barry Nixon is the Executive Director of the National Institute for Prevention of Workplace Violence, Inc., a consultancy focused on assisting organizations to effectively implement programs to prevent workplace violence and to create a worldwide learning community so that every workplace has the latest information about violence prevention.